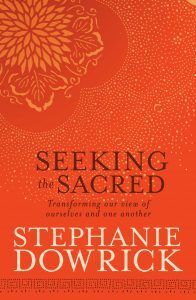 Stephanie will offer a one-day, very practical interactive workshop based on her most recent book, Choosing Happiness: Life & Soul Essentials. This will be suitable for people of all ages and stages and will focus on the key psychological and spiritual attitudes and skills that promote resilience, inner stability and an authentically positive and uplifting response to life. The workshop is being presented by Inspired Traveller and Adyar Books and will be held at Blavatsky Lodge, Kent Street, Sydney. Cost $118 including GST. Bookings are essential. Places are limited. This will be Stephanie’s last happiness workshop for 2006.